Many sports trends are recognizable and often recurring, because in the world of sports changes evolve slowly. Sometimes, my analyses may come across as heavy handed, but I am always optimistic when it comes to sport and the increasing digitization of our world. The phrase “If not now, when?”, a creed that drove the sports world in 2015. Could it get any crazier, more ego-driven, or of the reservation? Many organizations competed for the top prize, with the UEFA and IAAF doing its best to knock FIFA off its perch as the “Biggest Sports Boneheads.” Can we call this sport? I really doubt it. I stumbled upon a good read on the sports capitalism in FIFA and was struck by the word Sportpolitik (Swiss-German). The difference between the politics we know from every day life and the Global Sports Politics is that rules and control measures don’t apply in the latter. It is time to implement these rules in order to correct what is wrong in global sports. In 2015 small steps were taken to regain control. Instead of looking for an instant fix, we should use the next Olympic/World Championship cycles to right the ship. 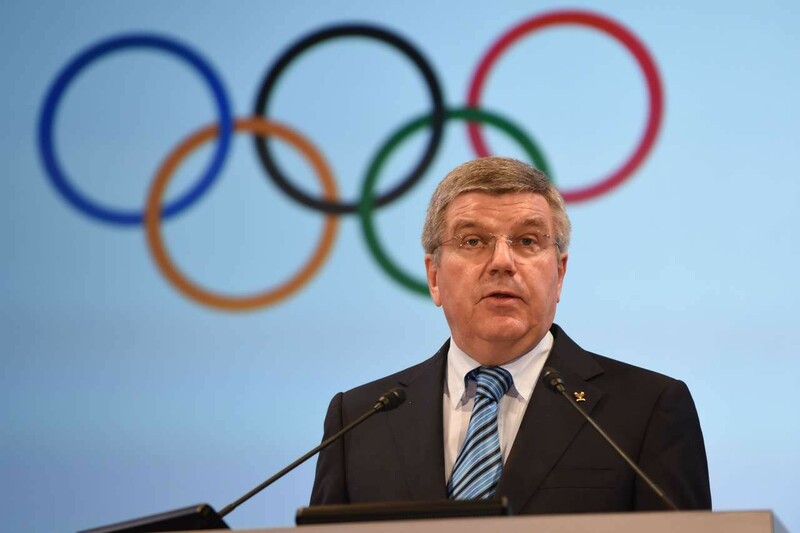 The only man that I believe has any chance to spearhead these sweeping changes is Thomas Bach (photo). It is not without reason that he has turned to an avenue outside of sports, namely the United Nations, to draw attention to the foul play. Sports don’t operate in a vacuum. Essentially everything mentioned above can also be attributed to “normal” politics and the “normal” corporate world. All of a sudden big names, big stadiums and big events aren’t at the center of sports. There seems to be a trend against this against the grain with regard to money having the final say in sports. Organized sports haven’t quite adjusted to this phenomenon yet. Those at the forefront of sports politically as well as on a corporate level are returning to the essence of sports: namely the sport itself. 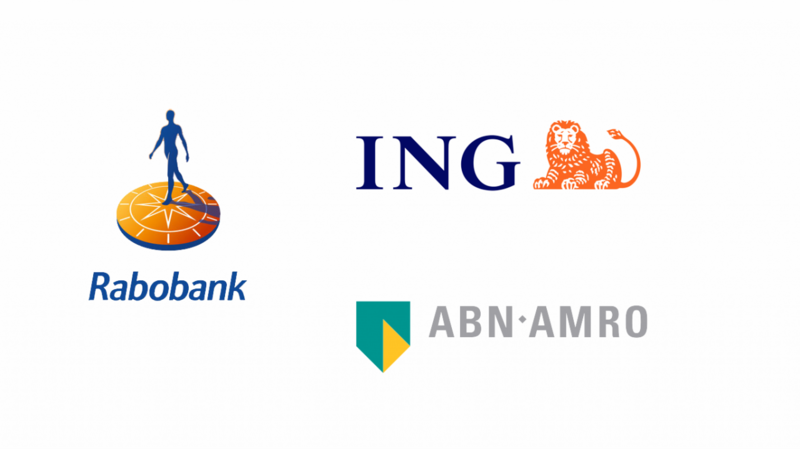 Noticeably in the Netherlands ING won the SponsorRing for sports with their campaign focused on clubs and Rabobank is trending in the same direction. They too have shifted their focus to local sports initiatives. The third large Dutch bank, ABN AMRO, is slowly taking steps away from the highest level of sports by putting an emphasis on talent. The banks don’t really have a choice as the demands of the financial regulations office and other overseers directly reduce their options for traditional sponsoring and visibility. Other large sponsors are soon to follow in this regard. The world is changing so quickly that the biggest sponsors in the Netherlands can’t gauge how quickly they have to amend their positioning. This goes for alcohol- (Heineken, Jupiler) and soft-drink (Coca-Cola, Red Bull) producers, energy providers (Vattenfall, Eneco and cable companies (KPN en Ziggo). If you read through this article you’ll see the word “content” come by every once in a while. Red Bull has been a synonym for “content” over the past few years and basically invented the game of “sponsoring = content.” But, Ziggo and KPN will introduce a totally new game within the year to win over the favor of the customer. Vodafone has also entered the race. Tele2 is doing its best to catch up to its competitors as well. All of a sudden their main concern is music, TV series and in particular sports. No longer are the companies competing for internet plans and gigabytes or texts or call minutes. England seems to be a little ahead of the curve and in Canada a regional operator took the leap and bought an ice hockey franchise. In the Netherlands we are still adjusting to sports talk shows on KPN and Ziggo. So I began to wonder if we would ever get used to these programs and how long will their run last. What does the sports fan get out of all of this? In the coming year we will see on Eurosport, Ziggo, FOX and KPN and the traditional outlets such as NOS, RTL and SBS how it wil play out. This doesn’t even take into account the so-called ‘Multi-Channel Networks’ or ‘Over the Top’ (OTT) offers available from the top leagues online through legal and illegal streams. We are still waiting on the Spotify or Netflix of sports. I, and I’m sure many others, are waiting for the services of an independent provider that can provide an outlet for us to enjoy sports in such a way. With the increase in money earned from media rights many of the leagues around will get an injection of funds. This will certainly cause changes around the world of sports as mentioned above. Taking the reins yourself still has one advantage: that of unfiltered communication. Every athlete, sport, club or event can have direct contact with his or her fans. That means that the old privileges evaporate. In particular the focus on the white male athlete seems to be deteriorating. Because his very livelihood is dependent on this phenomenon Maurits Hendriks has shifted the focus to women and their success in sports. The biggest star in Rio de Janeiro is a woman, Daphne Schippers. In women’s hockey the pressure has risen to gold medal or bust. Volleyball, handball and water polo haven’t qualified for Rio but 2015 was a monumental year in women’s sports. 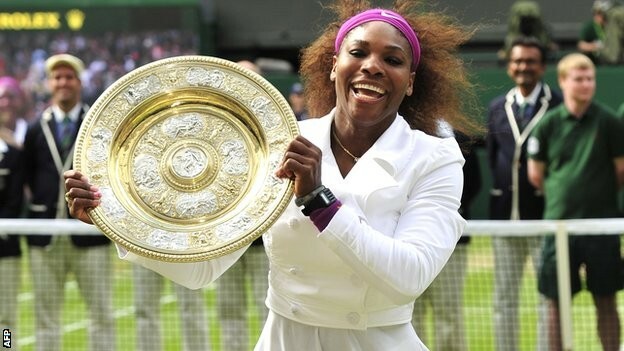 The fact that Serena Williams was voted athlete of the year in Sport International says a lot about the current state of equality in sports. Next to the moral obligations there are also economic incentives for equality for women’s sports. By 2020 Nike wants to have 50 million dollars in profit but none of that will be possible without the participation and level footing of women and men in sports. If Nike takes the lead in this the other large sports brands are sure to follow suit forcing the sports organizations to do the same. "Next to the moral obligations there are also economic incentives for equality for women’s sports"
Unfiltered communication is a two-sided coin. With the reduction in the dependence of traditional media there seems to be an increase in dependence on new media. Facebook in particular, think also Instagram, Youtube and Twitter are building strong bonds with sports organizations and athletes. As I mentioned in the top 5 developments for socialmedia in 2016 : I see a change brewing. ‘Social media’ is often a misleading term. Look for example at Facebook that has long been more than just a social network. They also offer media functions, distribution, creation, advertising and hundreds of other services. This means that we’re going to have to call the media by a different name. There is nothing social about buying advertising on Facebook, Twitter, Instagram or Twitter. Advertising is advertising. Distribution is distribution and content is content. Sports organizations would be well served to be frugal with their fan communities and content. Likes and followers aren’t equivalent to good content or a real connection with fans especially not if you buy them. Sponsors will figure this out soon enough. "Advertising is advertising. Distribution is distribution and content is content." Sport is so much more than just sport. Sports embed themselves in your heart and soul of society through all the other cultural icons we can enjoy such as art, food, fashion, architecture, nature, even business, politics, and science. The sportification of the world is inevitable. Conversely, it appears that sport is changing. Sport is becoming more individualized and more artistic. An important reason for this is that team sports it is much more difficult to make snackable content than for individual sports. 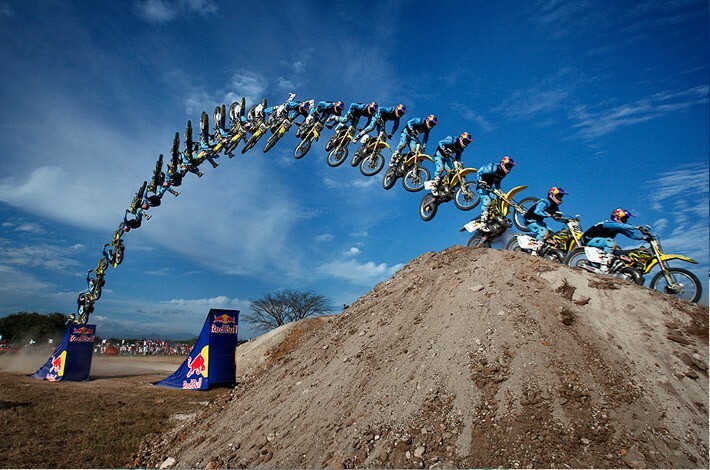 "Sport is becoming more individualized and more artistic"
See the rise of Red Bull and GoPro as an example: we enjoy artists that perform on boards and on bikes. The second reason is that we live in a time where the artistry is valued just as highly as the discipline itself. This means that that team play will also start to fade into the background. In it we see more conceptualizing and innovation in sports. Sometimes we even see explicit artistry in sports (think about sport shoe fashion and snow-, surf-, skateboard designs), or more subtly is the action sports where juries mark athletes on style as well as technicality. The drive to content and creativity for the more creative person leads to the sport itself becoming more creative and that sponsors will be drawn to the art in sport. This is the outlook of sports in 2016. This isn’t a complete overview of the year, but it offers a solid framework for the trends of 2016 and enough food for thought.